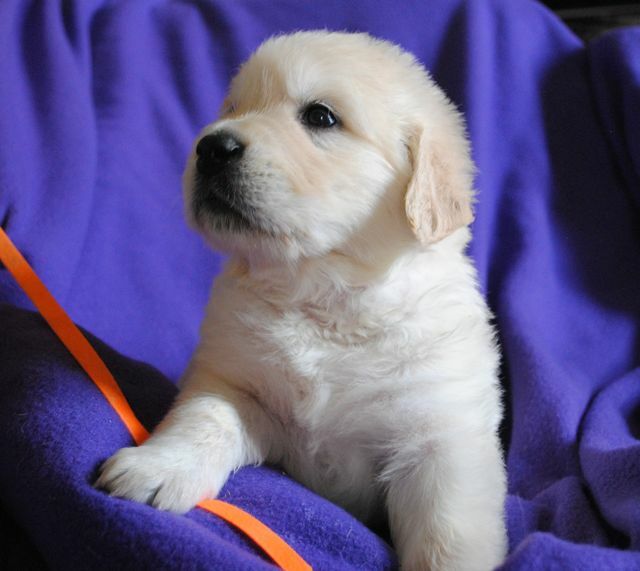 We have available puppies spring 2019 in Chesapeake, Virginia! Our dual champion Havoc and Dancy had 8 beautiful pups. We also are planning an American style breeding this April 2019 with Luna and either our Ch Havoc or our soon to be grand champion Poseidon. Luna is the daughter of a Multi European Champion who did very well at Westminster also. Fill out a puppy buyer questionnaire and email to me with any questions asap. Deposits accepted after verification of pregnancy. Deposits are $250 and non-refundable. They guarantee your spot on my wait list. The deposit goes toward the total cost of the pup. That payment is due on pick up of pup and only cash is accepted now. We are also looking for families that would be interested in a show puppy, and/or a contract “guardian” home for a show/breeding female of mine. Preferably a family that lives near me in Virginia, near a handler, or has show experience. These pups would come with perks like free boarding here, free training, and free grooming. Please let me know if this is something you would be interested in . As a quality breeder, my highest priority is the health of the dogs I breed. Part of that responsibility includes doing everything possible to assure their wellbeing after they go to a new home. While all quality dog foods will provide everything needed to sustain life, virtually all of them are cooked during the manufacturing process. The heat from cooking causes much of the nutrients to be lost during the process. NuVet Plus is cold processed allowing all of the benefits of its rich nutrients to be retained, giving your new puppy an extra layer of protection, especially during the most critical first year of life. When a puppy is moved away from its mother and siblings to live with its new family, the immune system is weakened by the stress of adoption and exposure to bacteria and viruses in its new home. These are pathogens for which the puppy’s body has not yet developed antibodies, and it is widely recognized that the immune system is less effective in times of stress. 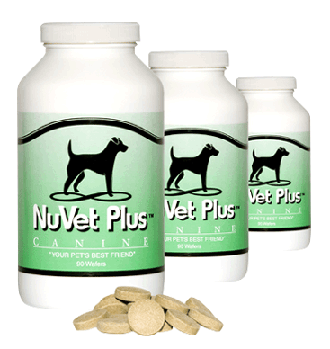 So starting NuVet Plus now is important to helping your puppy grow into a healthy adult. I WOULD LIKE YOU TO KEEP YOUR PUPPY ON IT AT LEAST A YEAR. I would LOVE it if you would continue them on it for the rest of their lives. 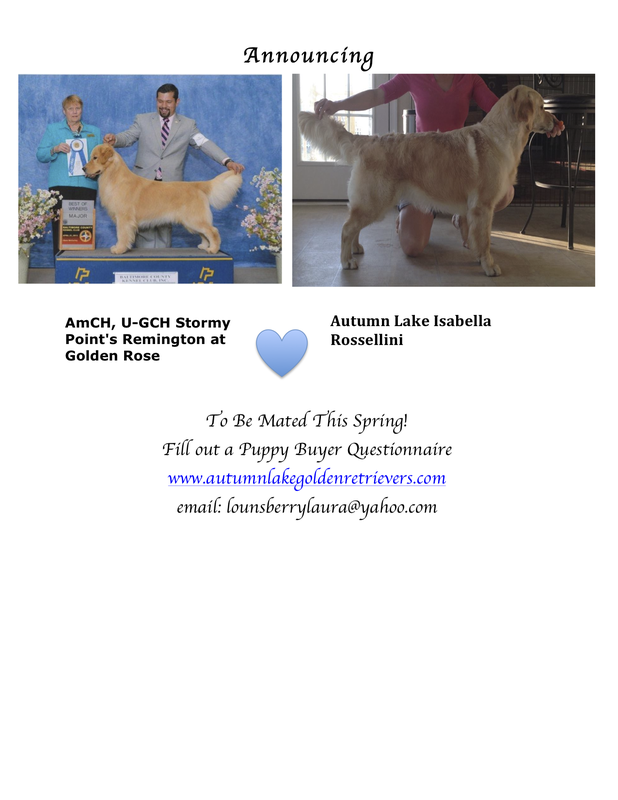 An informative link is on my website for “NuVet Plus” and you can order from there (www.autumnlakegoldenretrievers.com). I will put an info packet in your puppy folder. You have to buy it through a breeder or vet. Luckily, you can order with my code: 86430. If your puppy/dog is very active, is getting older, is growing too lanky, or has had trauma to his joints or cartilage, NuJoint is highly recommended in addition to your daily dose of NuVet. This information is also on my website. On May 10, 2016 we welcomed 7 pups from Magic and Gigli. All pups spoken for. On June 6, 2016 we welcomed 7 pups from Skye and Tio. All pups spoken for. On March 11, 2015 we welcomed 11 babies into the world from Havoc and Izzy. All sold. 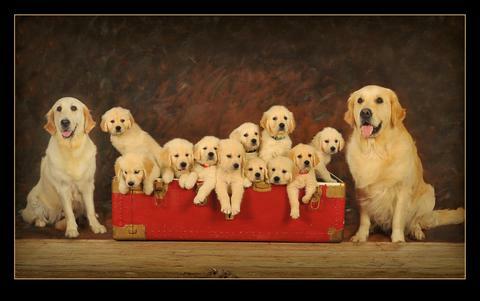 On July 27, 2014 we welcomed 9 beautiful puppies into the world from Remy x Izzy. You will be put on our waiting list in order of when we have approved your questionnaire. After pups are born, calls will be made to people of the waiting list, and if still interested, deposits will be made ($250.00 US or Euro equivalent). 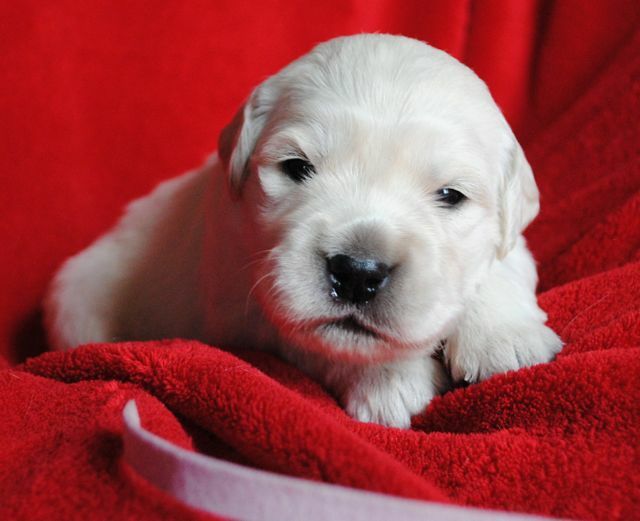 If it happens that there is not a puppy available from the particular litter you are waiting for, you have the option of waiting for the next litter. We always reserve the right to decide who receives one of our puppies. 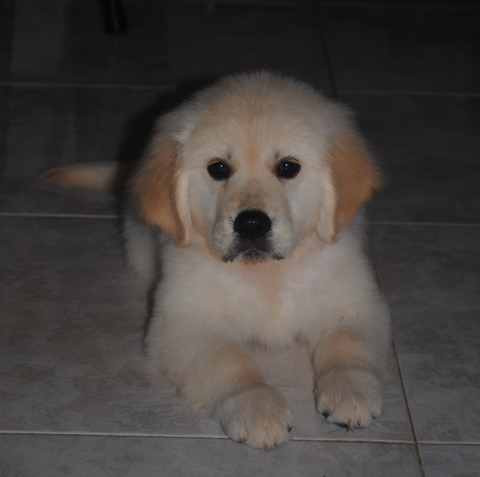 Finding the right home for each puppy is of utmost importance to us. As a general rule, we will be the one choosing which puppies go to which homes. This is of course done in close consultation with the puppy buyer to insure each person gets the puppy that best fits their requirements. Puppies usually go home at 8 weeks depending on when we are able to determine which puppies are potential show dogs and if they are mature enough to go home. The buyer is responsible for any costs involved in shipping of a puppy including shipping costs involved if the puppy is returned for any reason. This includes, but is not limited, to air charges and crates.